The Deluxe model of anything usually has something special to set it apart from the standard. Hamburgers have bacon and cheese. Cars have leather seats. Smart phones have more GBs. Ice cream sundaes have sprinkles. The Bell Qualifier DLX (Deluxe) models add some key features not offered on the regular Qualifier. Bell Qualifier DLX helmet has an upgraded interior liner and includes the photochromatic transitions faceshield right from the factory. No need to worry about toting around extra faceshields or being at the mercy of the sun. The Qualifier DLX also has the ability to have a really clean installation of a Sena SMH10 or a Cardo Q3. Sena and Cardo units usually install with a clamp kit or adhesive mount, but Bell has a special recesses that will allow easier installation with a more flush look. A special adaptor plate means your helmet is not designed for only a single specific model of comm system. Two choices are usually better than one, and as such, both the Bell Qualifier DLX Clutch Helmet and the Bell Qualifier DLX Impulse Helmet are here to add a little bit of flair depending on your own individual style. 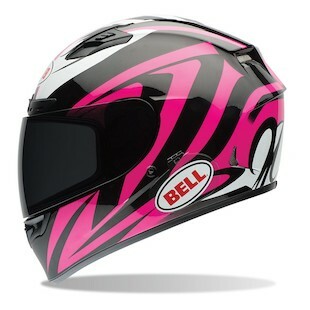 The Impulse Graphic comes in gloss pink or black matte if you want to be stealthy. 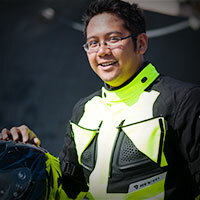 Clutch graphics come in black/white, blue white, red/white, and black/hi-viz for the safety oriented. Don't be basic. Spring for the higher trim level DLX model if you are looking for a photochromic faceshield and comm system recess the regular Qualifier is missing. 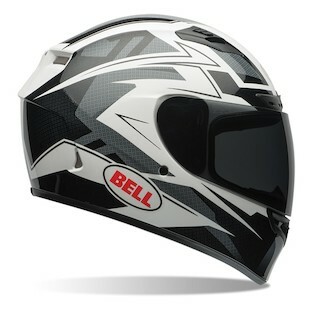 Those extra features and new graphics set this apart from any entry level helmet. Treat yourself.